Good salaries in Shenzhen have attracted migrants from all over China, creating a large population of non-local migrant workers. Shenzhen also has a young population, with an average age of less than 30 years old.2 With more people and investments flowing into Shenzhen, property prices have been on the rise; various reports indicate that prices in Shenzhen rose faster than any other city in China in 2015. In addition to foreign firms establishing factories in Shenzhen, China’s largest manufacturer of telecommunications equipment established its international headquarters in the city, along with many other types of domestic companies that have decided to situate themselves in the zone. Shenzhen is known as one of China’s “Silicon Valleys” due to its high concentration of high-tech companies, of keen interest to Chinese graduates of technical universities and young people who want to be involved in Internet businesses. Shenzhen and Hong Kong are separated politically, but border restrictions have been continually loosening and highways and trains offer connections between them. There are now six land crossing points between the two cities and a rail connection linking the Shenzhen metro line and Hong Kong’s Mass Transit Railway subway system. Each day, it is estimated that more than a quarter of a million people travel between Hong Kong and Shenzhen. The Shenzhen Metro system, opened in 2004, now has five lines, 118 stations and 177 kilometers (110 miles) of tracks. Eventually a high-speed train service is expected to connect Beijing, Guangzhou, Shenzhen and Hong Kong. In addition to manufacturing, Shenzhen is quickly becoming a financial center with two of China’s largest banks headquartered there. The Shenzhen Stock Exchange (SZSE), like the Shanghai Stock Exchange, is a national exchange with more than 1,700 listed companies on SZSE, including those listed on Growth Enterprise Market (GEM) Board.4 The SZSE Composite Index consists of 500 listed stocks with market capitalization of more than US$300 billion.5 The Shenzhen-Hong Kong stock connect, which would facilitate cross-border trading, is expected to launch sometime this year and could open up more opportunities for investors. 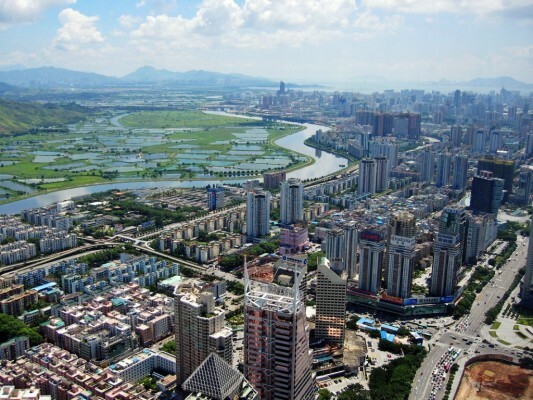 The government is currently promoting Shenzhen as a financial center to equal Hong Kong by designating Qianhai, a district of Shenzhen, as a financial center with special rights and privileges. The purpose is to position the zone for innovation and development of modern services, in addition to fostering closer cooperation between Hong Kong and mainland China. Most significantly, Qianhai is being given special freedoms in regards to the internationalization of China’s currency, the renminbi (RMB), by loosening capital account restrictions so Hong Kong banks will be allowed to extend commercial RMB loans to Qianhai-based onshore mainland entities. Our theme-park tour in Shenzhen included a venue designed to review Chinese history, culture and architecture with the various ethnic groups in China through the country’s 5 000-year civilization. As we walked around the park, we enjoyed the beautiful scenery and models of various stages of Chinese history, miniature versions of famous Chinese tourist spots, and models of famous historical buildings and scenes. One fascinating model was of the Great Wall and a famous historical battle that took place at the wall. They had a number of performances in various parts of the park featuring dancing, music, stunt shows, magic, a light show and skilled riders on horseback. There were also a number of restaurants featuring different types of food from parts of China including Sichuan, Yunnan, Hunan and other areas. I was surprised to find an impressive display section of the park that included a Thai pagoda and elephants with a fountain display that allowed hot tourists to cool off with a spray enveloping the entire area. There was also a separate safari park in Shenzhen, with a breeding operation for white lions. 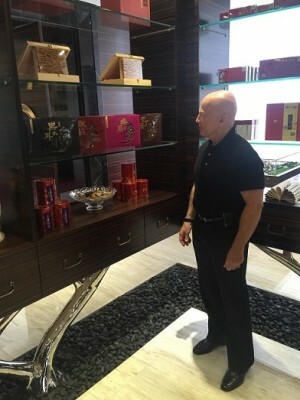 The next day we visited a traditional Chinese medicine (TCM) producer in China. The firm’s products are sold through retail pharmacies and hospitals, with the pharmacy channel being the larger revenue contributor. 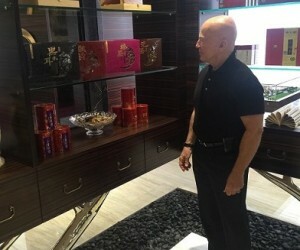 Visiting a few pharmaceutical stores in various Chinese cities, I quickly realized the pervasiveness of the traditional medicines not only in packaged form with herbs made into pills, capsules and/or syrups, but by the sales of raw and loose herbs. Sales to retail shops are done through distributors, while sales to hospitals are done by the company’s own sales staff. When talking about their method of valuing the large stock of precious herbs they stored in warehouses, we learned that those inventories were valued at cost even though they were worth considerably more. Sourcing the wide variety of roots, dried flowers and leaves takes their buyers all over China. In addition, they have their own farms to grow a variety of the more common herbs. The company sees the potential for broader application of TCM in Western societies.